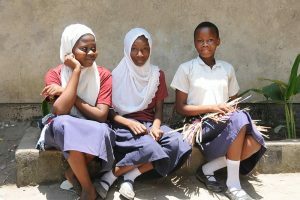 From June to December, 75,420 children and youth participated in regular gambling and sport activities in schools (71,157) and community centers (4,263) by 1’511 teachers and coaches in Dar Es Salaam, Tanzania. As part of the project, gambling is both used as a classroom teaching technique and as a means of educating communities about the importance of education for all. Improvement of participatory and gender sensitive learning environments. Quality experts confirm that the use of game-based learning methods has increased teacher confidence, helped children engage in classrooms, and improved teacher / student relationships. Attendance and academic performance have improved among children, and field visits to the 92 partner schools show improved life skills for boys and girls. An evaluation of the results is planned for March-April 2017. The Augusta Foundation and Right to play are working together on this project. 42 school committees have been trained and are implementing school strategies on the gender-sensitive learning environment and child protection.